This groundbreaking, multidisciplinary work is one of the first books to cover Nanotheragnostics, the new developmental edge of nanomedicine. 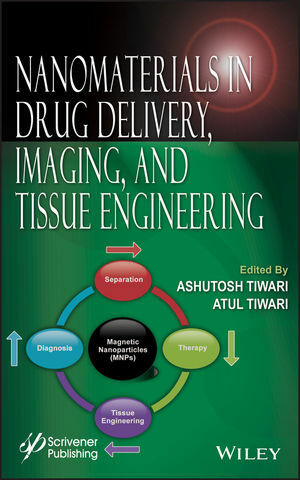 Through a collection of authoritative chapters, the book reports on nanoscopic therapeutic systems that incorporate therapeutic agents, molecular targeting, and diagnostic imaging capabilities. An invaluable reference for researchers in materials science, bioengineering, pharmacy, biotechnology, and nanotechnology, this volume features four main parts on biomedical nanomaterials, advanced nanomedicine, nanotheragnostics, and nanoscaffolds technology. Ashutosh Tiwari is an assistant professor of nanobioelectronics at the Biosensors and Bioelectronics Centre, IFM-Linköping University, Editor-in-Chief of Advanced Materials Letters, and a materials chemist. He graduated from the University of Allahabad, India. He has published more than 125 articles and patents as well as authored/edited in the field of materials science and technology. Dr.Tiwari received the 2011 "Innovation in Materials Science Award and Medal" during the International Conference on Chemistry for Mankind: Innovative Ideas in Life Sciences. Atul Tiwari is an associate researcher at the Department of Mechanical Engineering in the University of Hawaii, USA. He received his PhD in Polymer Science and earned the Chartered Chemist and Chartered Scientist status from the Royal Society of Chemistry, UK. His areas of research interest include the development of silicones and graphene materials for various industrial applications. Dr. Tiwari has invented several international patents pending technologies that have been transferred to industries. He has been actively engaged in various fields of polymer science, engineering, and technology and has published more than fifty peer-reviewed journal papers, book chapters, and books related to material science.